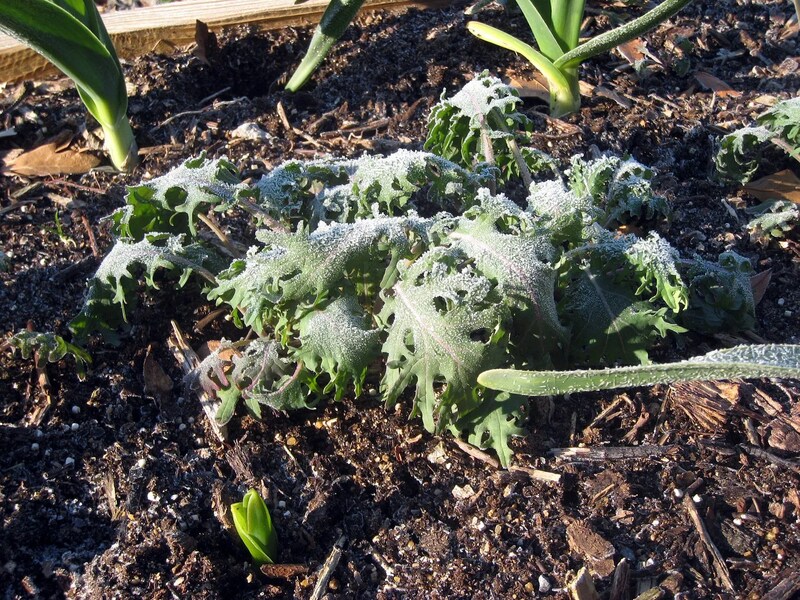 This fall I planted some Kale (Winterbor from Johnny’s Select Seeds) after my lovely vegetarian daughter pointed out that Kale resides at the top of almost every “the most nutritious foods” list. As it grew, I read more about it and tasted a little here and there. It really is quite nutritious; it reliably provided Europe the means to survive winters from the BC knuckle dragging era well into the middle ages. Before cold weather arrived I was not impressed with its taste, either raw in salads or cooked. 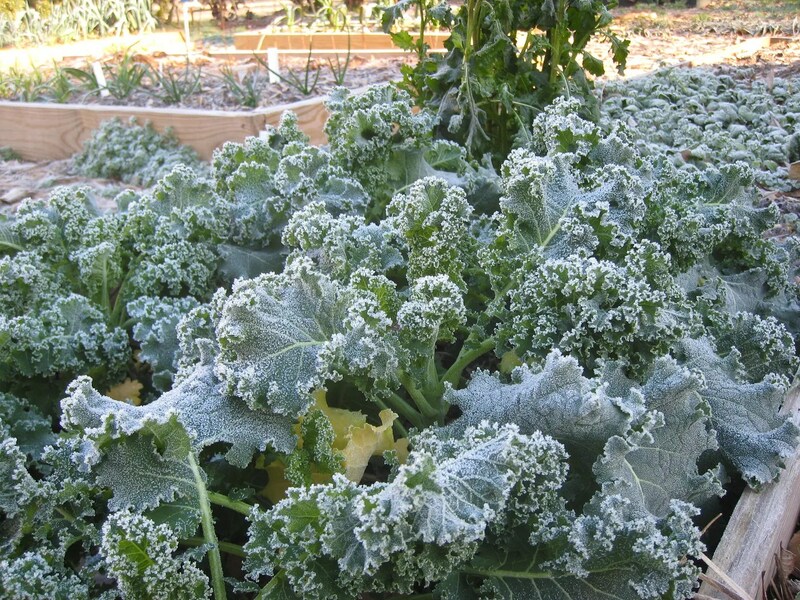 I really only nibbled a little out of curiosity as I had read that as with other brassicas, cold weather is the magic ingredient for palatable Kale. 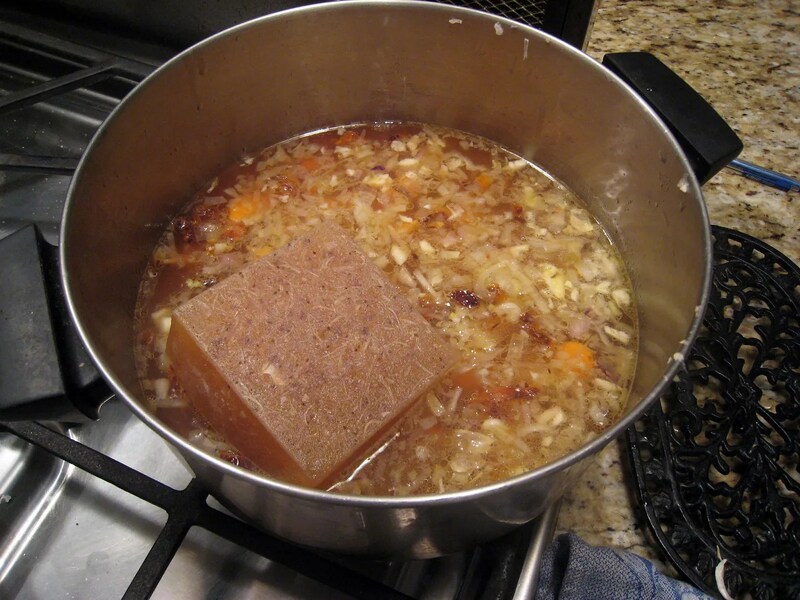 I added another 10 oz or so water to get a more liquid soup (vs a chunky pile of veggies in a puddle of stock). I forgot to take a picture after I added the beans (cuz it smelled so good I had to eat it promptly.) Once the beans are added and it simmers a few minutes it is ready to go. It doesn’t have to simmer for more than 15 or so minutes before the kale is tender. This is good right off of the stove; it ages well in the refrigerator too. If the king of weekend lunch convenience (me) takes the trouble to heat it up for lunch two days in a row when there is pizza in the fridge, what do you think? This really looks yummy. May I also suggest a kale and potato recipe by dr. Weil . As of late I have been putting my kale in smoothies. It’s called a green smoothie. Very good. The ratio is 40/60 fruit to greens. This morning was just water, banana and kale, although it also called for chard. My 7 yr old even had 2 glasses! Also, Kale is really good sauteed in some olive oil with a little bit of garlic and shallots. I always enjoy visiting your blog so I have nominated you for the Versatile Blogger Award. Check my blog for details of the award. I didn’t find it slimy at all. I think I understand what you are referring to with spinach after saute, it sort of coalesces into a limp spinach slimed mass. 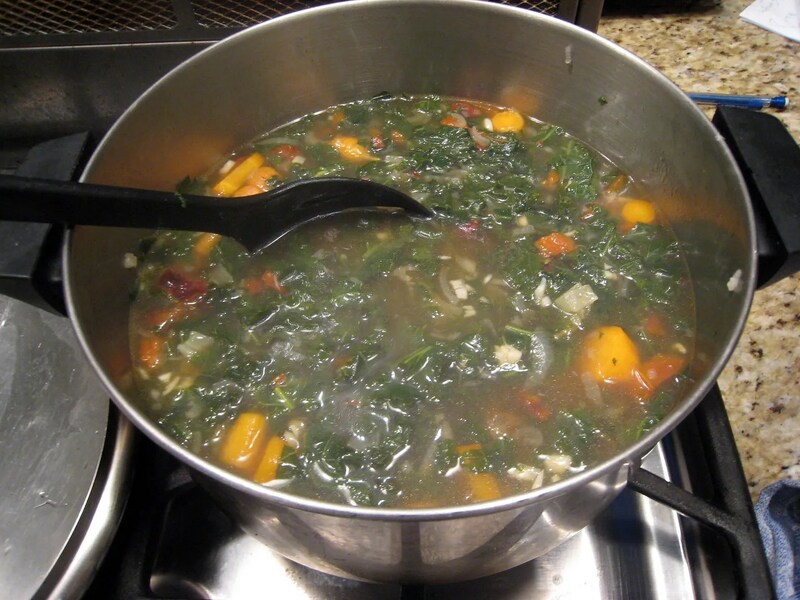 In the soup recipe the kale never rolls in the oil – it goes straight into the stock towards the end and the instructions are to not overcook it- just a few minutes in a simmer. I’ve sauteed kale a couple times and it doesn’t seem to be as bad (or as good, depending on one’s tastes) as spinach from the slime standpoint. I posed this question to mrs cohutt for an unbiased evaluation and she stated “definitely not slimy”. 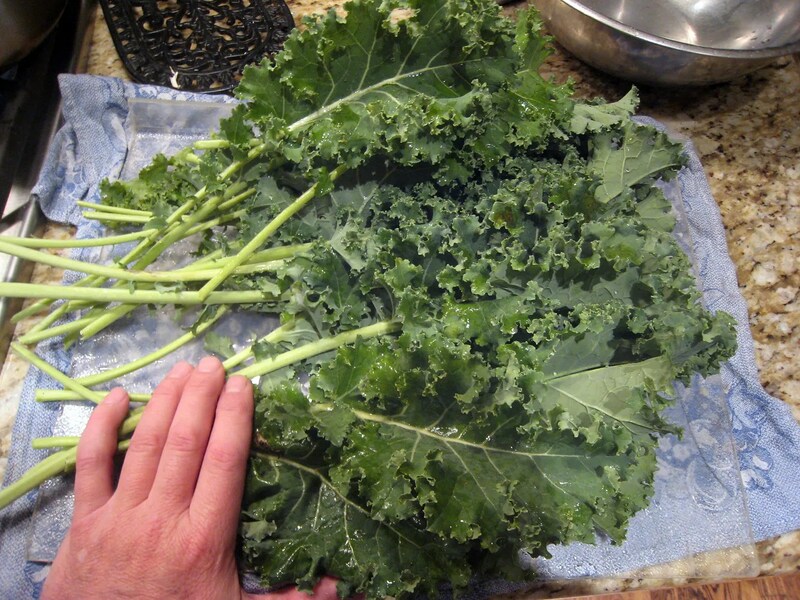 The first time I didn’t chop the kale into small enough pieces but we fixed that with subsequent batches.